The rapper recently filed paperwork to clear the path for him to slap "Astroworld" all over a wide variety of jewelry and accessories. It's an obvious move to cash in on the title of his hit album and recently-announced music festival. 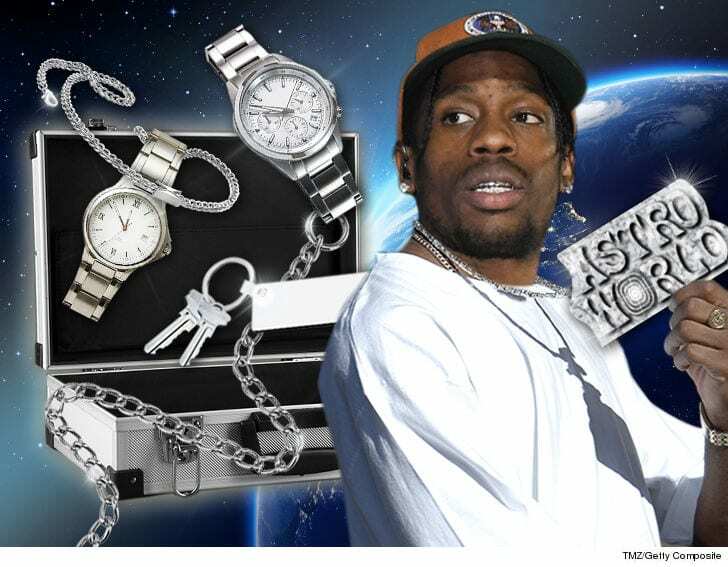 Travis has astronomic plans to produce "Astroworld" branded jewelry, clocks, watches, key chains, jewelry cases and even dog chains. Travis Scott is ﻿shooting for the stars in search of new revenue streams ... because we've learned he's trying to lock up the rights to more space-themed merch.